Choose from a large variety of unique patterns, including 45 embroidery designs featuring your favourite Disney characters! Plus, you can add oral, seasonal and holiday built-in patterns to complete your look. The Innov-is M280D is also compatible with a wide variety of third party designs. No more stress when threading. Follow the thread guide, and use the needle threader lever with one finger. For ease of use, all operating buttons are on one convenient panel - thread cutter, needle position up/down, Start/Stop function. 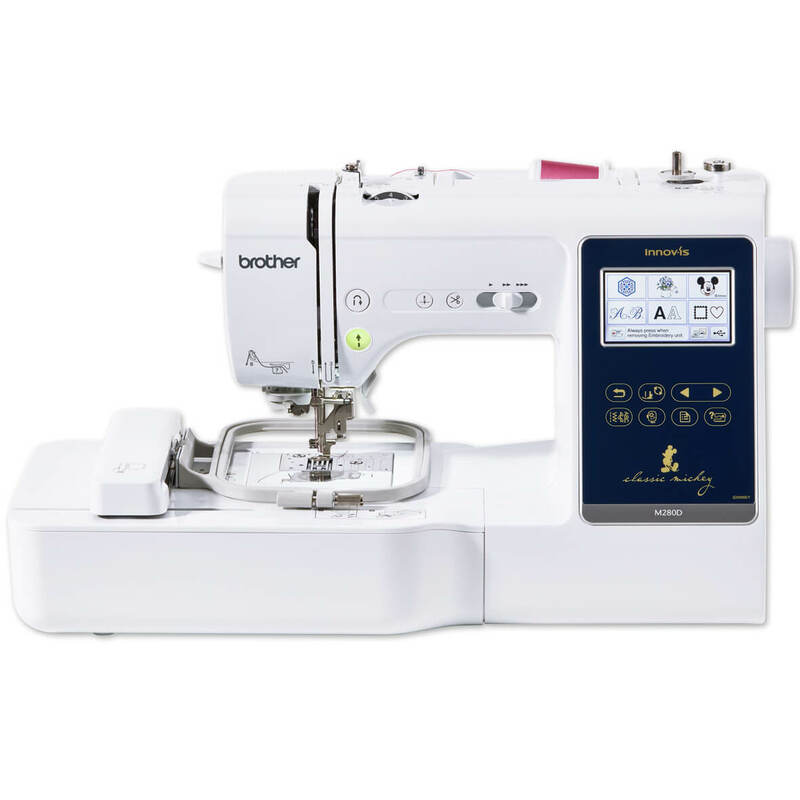 Choose from 181 stitches built into the machine, giving you unlimited creativity. Also includes 10 one step buttonhole styles. Provides a smooth feeding action and superior stitch quality on any weight of fabric. Several designs can be embroidered together by combining patterns and pressing the “Add” button on the screen. Please go to the Downloads Tab to find the Application Form. 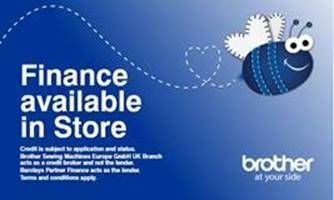 Want to put down a deposit or trade in your old machine? If you would like to partially pay for your machine up front, indicate it on the application form or let us know over the phone. To trade in for an upgrade, please call 0121 444 3978 and we will tell you if your old machine is eligable. To start things off, all we need is the model number of the machine to be traded in and its age. If accepted, we will provide you with a quote that can be used against the cost of new machine.